Beijing is expected to buy almost 8,000 planes over the next two decades, for a combined value of $1.2 trillion. With expectations for a deal high on both sides, U.S. and Chinese trade negotiators are working under a tight time frame. Experts express concern that an agreement cobbled together beneath a ticking clock might disappoint corporate America and Wall Street. 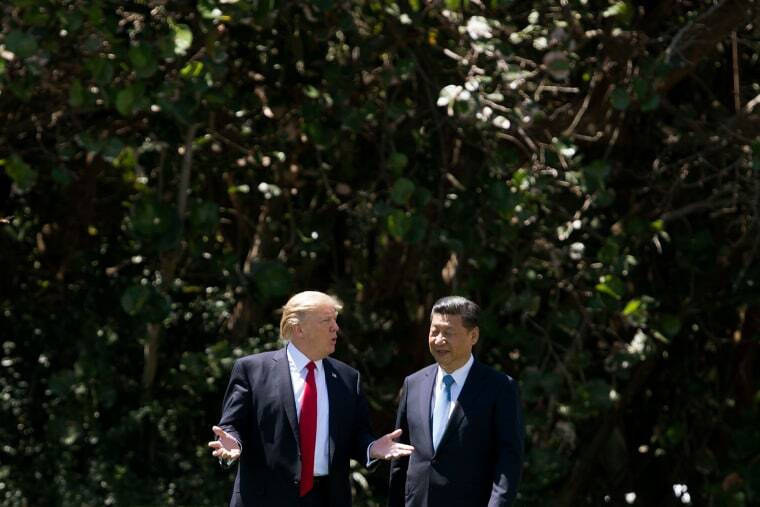 Reported plans for a meeting between President Donald Trump and his counterpart, Xi Jinping, appear to have been postponed to an as-yet-undetermined date, possibly in April. Although the two countries have made public statements touting the progress made so far, leaders of U.S.-based trade groups say they have been relegated to reading the tea leaves from the sidelines, some three weeks after the White House’s self-imposed deadline of March 1. “A week ago, it seemed like we were close to an agreement,” said Craig Allen, president of the U.S.-China Business Council. “I think that delay could be a cause for concern that we’re not as close to an agreement as we could be,” he said. “The business community hasn’t been kept fully apprised by the administration of what’s going on in the negotiations,” said Rufus Yerxa, president of the National Foreign Trade Council. The Trump administration has touted pledges from Beijing to buy more soybeans and liquid natural gas from the U.S. as evidence of its progress in negotiations. While this would help the agriculture and energy sectors — and likely score the president political points in regions he will have to defend in the 2020 election — it doesn’t address the biggest problems U.S. multinationals face in China. “My feeling is that the Chinese have to offer meaningful changes in the way they treat foreign companies and foreign investment,” Yerxa said. “We really don’t know how significant the differences are between the two sides,” he said, on key issues like protection of intellectual property and Beijing’s state support for its domestic businesses that compete with American firms. Boeing’s current woes further complicate the situation regarding the trade deficit: The plane manufacturer said last year that Chinese airlines would buy 7,690 planes over roughly the next two decades, for a combined value of $1.2 trillion. Now, according to Bloomberg, China is said to be considering striking Boeing’s troubled 737 Max jet from the list of goods it planned to purchase from the U.S., following two high-profile crashes within six months that investigators say bear similarities. Three-quarters of those Chinese purchases would be single-aisle aircraft, Boeing had said — a forecast that is now in jeopardy since the Max is the new version of Boeing’s single-aisle best-seller, the 737. The Max is currently grounded by air transport agencies worldwide. Even if the U.S. trade delegation can navigate the added complication of its biggest export driver being taken out of the equation, analysts say any deal that fails to address the structural reforms sought by the U.S. on practices like joint-partnership requirements and forced technology transfers could make the losses incurred by some American companies for naught. “Some revenue will come back quickly — soft boycotts, tariff-related price increases, etcetera — but they might have to rework their supply chains, which will be a long-lasting and costly issue,” said Sameer Samana, senior global market strategist at the Wells Fargo Investment Institute. “Some companies may never recover from the damage the tariffs have caused, especially the smaller, overly leveraged firms,” said George Kiraly, founder and CIO of the LodeStar Advisory Group. The tech sector, a key driver of the current market rally, would be especially hard hit. “Import tariffs can shield domestic production from competition. That can encourage inefficiencies. One thing is clear we see a pretty strong negative impact on productivity … and resource allocation,” said Lauren Gloudeman, a senior analyst at the Rhodium Group. Of more immediate concern, a failure by U.S. negotiators to win key concessions could have ramifications on the stock market: If the scope of any deal is less comprehensive than Wall Street expected, investors may face a reckoning. “Markets might rally a bit further, but a lot of optimism is now priced in on the announcement of a trade deal,” Samana said. “We still think a deal is the most likely outcome, but it’s hard to tell what the quality of the deal will be, in terms of how [and] whether it deals with the tougher issues,” he said. “Any trade deal announced between the U.S. and China is likely to disappoint,” Kiraly cautioned. “It will likely be a case of ‘buy the rumor, sell the news’ for the markets. It’s pretty much priced in, as stocks have rallied strongly in anticipation of a deal,” he said. Jacob Kirkegaard, senior fellow at the Peterson Institute for International Economics, suggested that members of Trump’s trade team might be starting to realize the intractability of their predicament, from a diplomatic as well as an economic perspective. “Underneath all of this, you increasingly have the realization in the administration, I think, that you’re not going to get these fundamental changes in the Chinese economic model,” he said, pointing out that state support and protectionism are key tenets of its economic model. Even with the biggest economy in the world, the U.S. has few effective mechanisms for oversight and enforcement in forging a bilateral trade deal without the international backing of groups like the World Trade Organization. Trade negotiators for the U.S. could insist that Beijing demonstrate its willingness to address American concerns before it rolls back trade sanctions — but keeping tariffs in place is likely to be a nonstarter for the Chinese delegation, creating a stalemate with no obvious path forward unless one side or the other yields. A hastily forged trade pact that centers around China’s willingness to purchase more American goods might let Trump claim a victory in the run-up to an election year. Analysts warned, though, that any deal that leaves the threat of tariffs on the table is likely to exacerbate stock market volatility — which in turn could magnify the impact of an ongoing economic slowdown. “Going forward, low global growth risks will remain,” Kiraly said. “What’s ailing the global economy is unlikely to be resolved by a trade deal,” he said, but a poor or nonexistent deal could be one headwind too many.